How do you choose the right wedding photographer? We ask Carol Taylor, of Chapel Studio Photography, if some brides feel more comfortable with a female photographer. There are dozens of incredibly good, very talented and highly qualified photographers in Derbyshire. Many, like me, have years of experience and a natural flair for capturing those very special, once-in-a-lifetime moments. In keeping with many other industries, wedding photography is fairly male-dominated – there simply aren’t as many women in the job as there are men. And for the vast majority of couples this makes not a jot of difference – the priority is getting a beautiful set of pictures which capture the essence of the day. But some brides undoubtedly feel more comfortable around other women, especially when it comes to those precious ‘getting ready’ pictures, taken at the bride’s home, or at a hotel. I’m often asked to capture the moment a bride’s dress is laced up or fastened - or even a garter being adjusted - and understandably, some brides simply feel more comfortable in a state of undress with a lady – rather than a man – in the room. 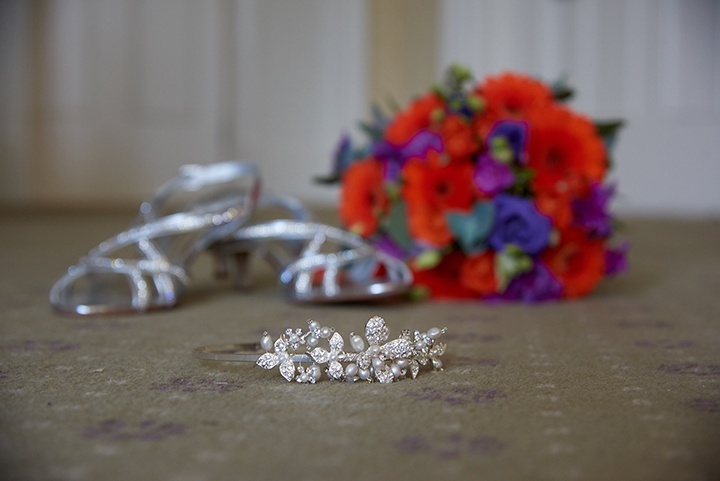 These ‘getting ready’ pictures are not for everybody, but they are a wonderful opportunity for me to take some still life pictures – perhaps the dress laid out, the shoes which are often not seen once they are being worn, or some jewellery. Being female means I also have more confidence with a dress – and with some dresses, particularly those with long trains, a photographer needs to ensure it lies beautifully. Actually, years of experience means that I know the best way to do this is too give the bottom of the dress a good shake – filling the skirt full of air, so it floats down to the ground elegantly. But I know some men don’t feel able to lift the hem of a bride’s dress – which is understandable! Most wedding photographers would agree that it is often easier to guide people, and groups especially, into position by moving them physically. But many people prefer to be touched by a lady, rather than a man. I also feel that I probably have a better understanding of the most flattering position for a bride to stand in. It’s always better to stand slightly sideways with one foot in front of the other, this redistributes your weight and allows the shoulders to relax. Try it in front of the mirror– it is much more flattering. Many of the brides I meet will say that they don’t feel comfortable in front of the camera and I think it’s my job to reassure them that I will make them feel relaxed and look amazing. I’m the only female wedding photographer in Derbyshire who has an associateship with the British Institute of Professional Photography (BIPP) and the MPA. These organisations represent the very best of the photographic community and both only accept fully professional photographers. As well as providing commercial services they also help ensure that only the highest possible quality is produced by their members. Of course, there are plenty of male photographers who belong to these organisations and are more than capable of doing all the things I’ve listed above. But some brides feel more comfortable around other women and it’s certainly something to consider. 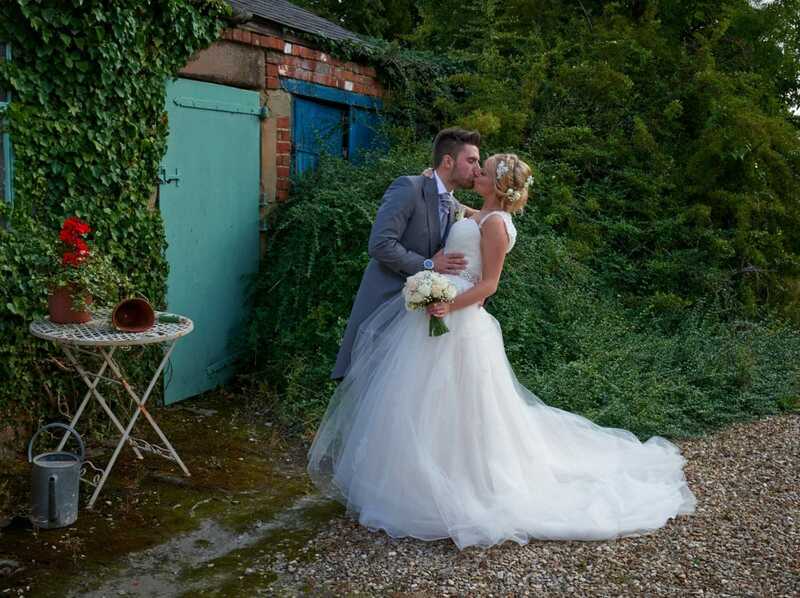 Chapel Studio Photography are one of our recommended wedding suppliers.